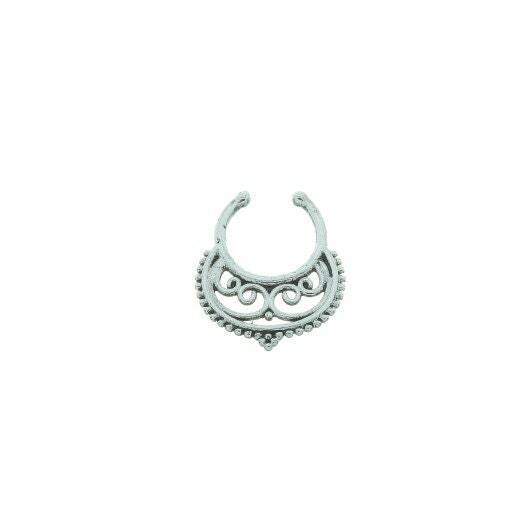 Ornate designed faux septum ring. Beautiful Indian style. 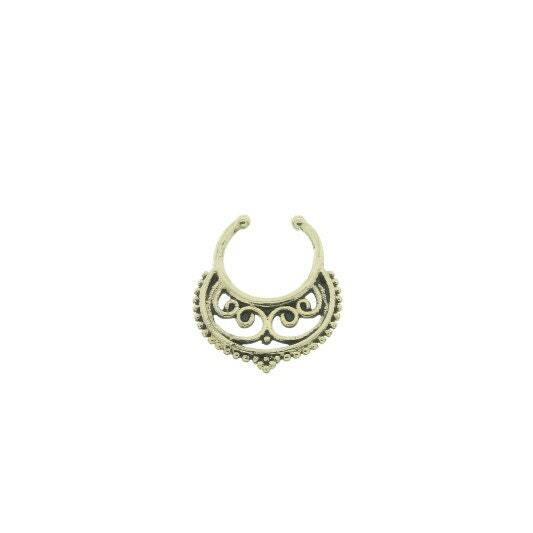 This is for non-pierced septum. Hangs in the nose, can be adjusted to fit. Great look, no piercing required. Easy to take on and off. Fun new look. Measurements: Length: 5/8"; Width: 1/2"
Color choice. Available in brass or silver plated. I love it! This is such a beautiful piece of jewelry.